To continue to be accredited by the AZA (Association of Zoos and Aquariums), Milwaukee County Zoo needed to comply with a recent change set by the Association. All AZA accredited facilities are required to provide sufficient shade, either natural or artificial, for animals kept outdoors can protect themselves from direct sunlight. 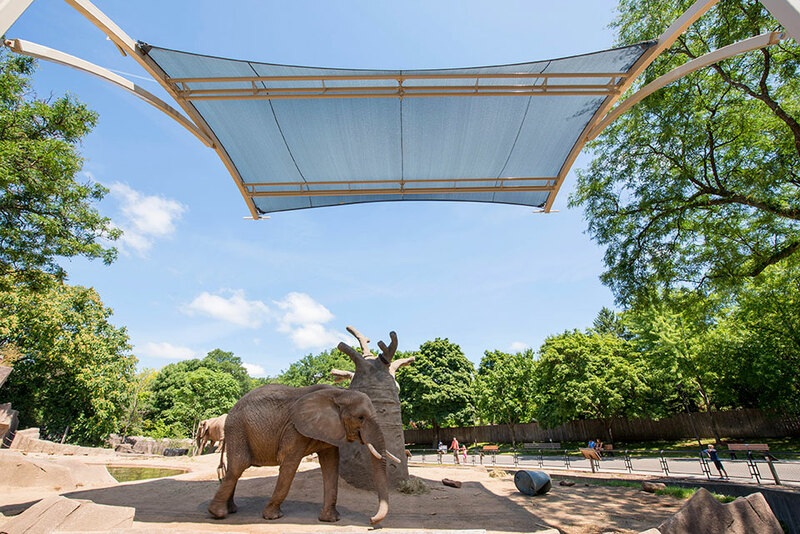 Today, Milwaukee County Zoo is the home to new polar bear, seal, and elephant shaded exhibits. Explore how these beautiful shade structures came to be.